The attempted coup was pretty inept and not at all representative of the skills and organising abilities of the Turkish army. It could have been that it was just a small group involved. But the purge that Erdogan is now carrying out against Hizmet and supporters of Fethullah Gülen (3000 military and 2500 judges detained so far) begins to give weight to the theory that the failed, inept, coup was stage-managed by Erdogan, just to have an excuse to move against Hizmet. Just another conspiracy theory. Perhaps. But as conspiracy theories go, this is a rather simple intrigue by the standards of intricate, Byzantine plots. It could be that Erdogan is just being an opportunist and is using a “genuine” coup attempt to now crack-down on Gülen supporters. But, I would not be at all surprised if it had all been orchestrated by Erdogan. Gulen said democracy cannot be achieved through military action. He criticized the President Tayyip Erdogan’s government. “It appears that they have no tolerance for any movement, any group, any organization that is not under their total control,” he said. Whether staged or not, Erdogan wins. 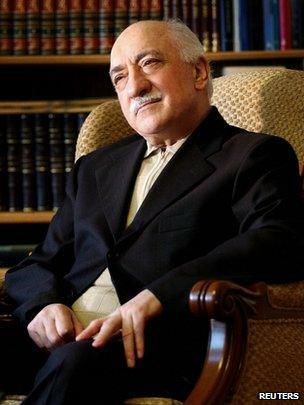 He is obsessed with Fethullah Gülen and his supporters and what he calls their “parallel state”. It is not a coincidence that Gülen’s supporters tend to be much better educated than the mass support that Erdogan so successfully mobilises. This entry was posted on July 17, 2016 at 8:33 am and is filed under Behaviour, Politics, Turkey. You can follow any responses to this entry through the RSS 2.0 feed. Both comments and pings are currently closed.